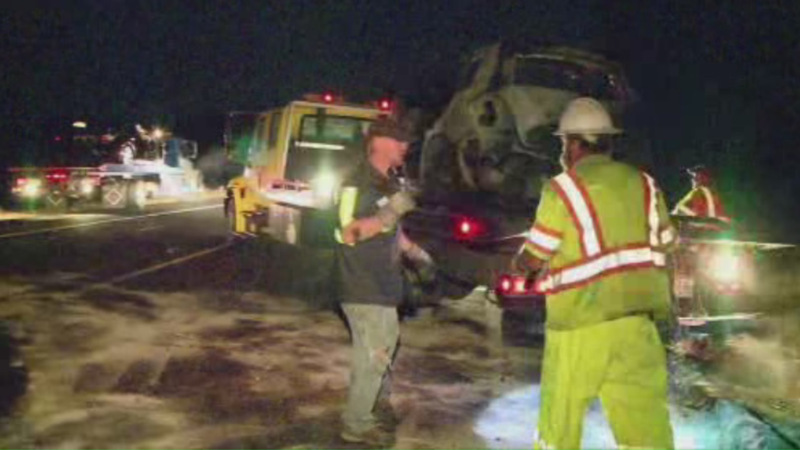 GROVELAND, Calif. (KGO) -- There are new details on about a deadly head-on crash in Tuolumne County over the weekend. On Saturday evening, around 6:30, two vehicles collided on State Route 120, east of Smith Station Road. Five people were kille don impact. Four of them have been identified as Bay Area residents. They are Grace Yu, 54, of San Jose; Myung Ae Yang, 69, of Cupertino; Mikyong Hong, 62, from Gilroy; and Yong ok Argilla, 60, of Hayward. One other passenger, Jeongsoo Yang from Saratoga, was flown to a hospital in Modesto with major injuries. Drugs and/or alcohol are not being ruled out as an associated factor to this collision. State Route 120 was closed for approximately five hours. The California Highway Patrol is asking for the public's help regarding this traffic collision. The CHP is looking for any witness to this collision and witness are encouraged to contact the California Highway Patrol, Sonora Office at 209-984-3944, attention Officer Griefer.